There is good news for candy freaks of all ages in the East Village. 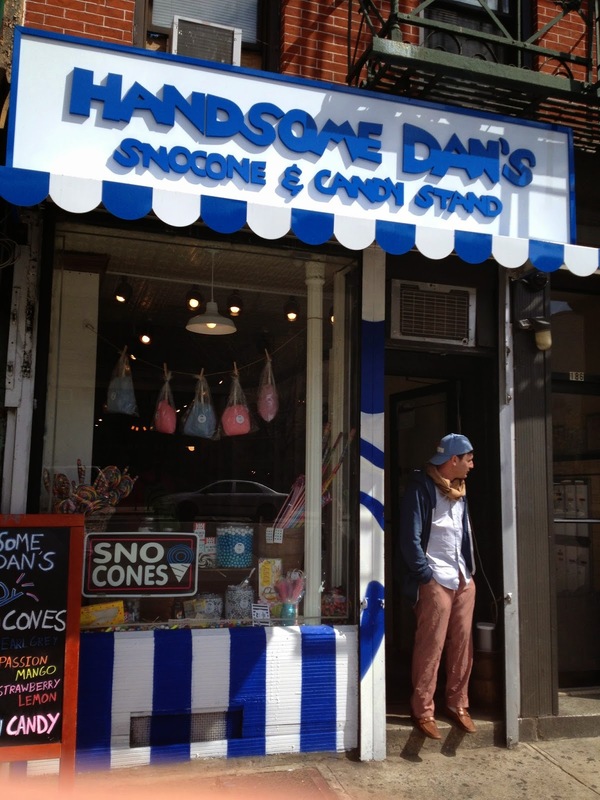 Brooklyn's Handsome Dan's has opened a new location on 1st Avenue. 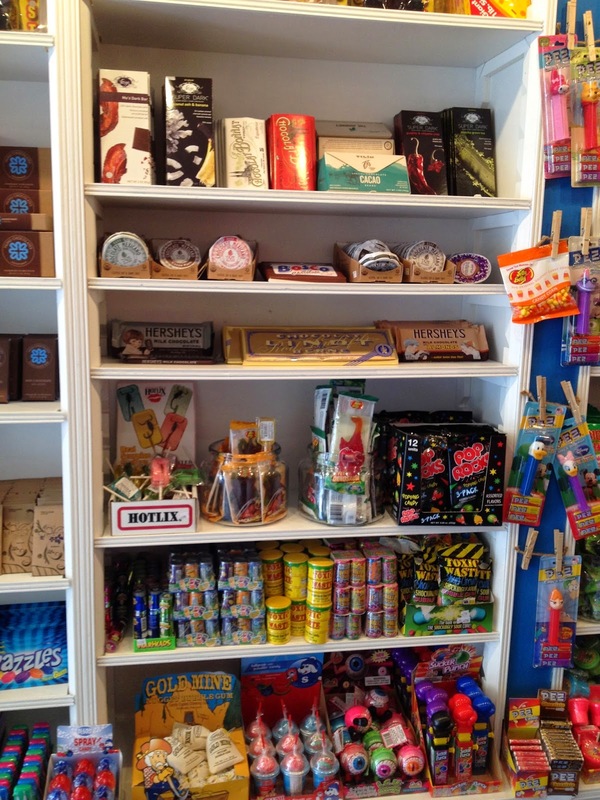 The store is a nostalgic tribute to candy stores of old with an excellent and diverse selection of candy. 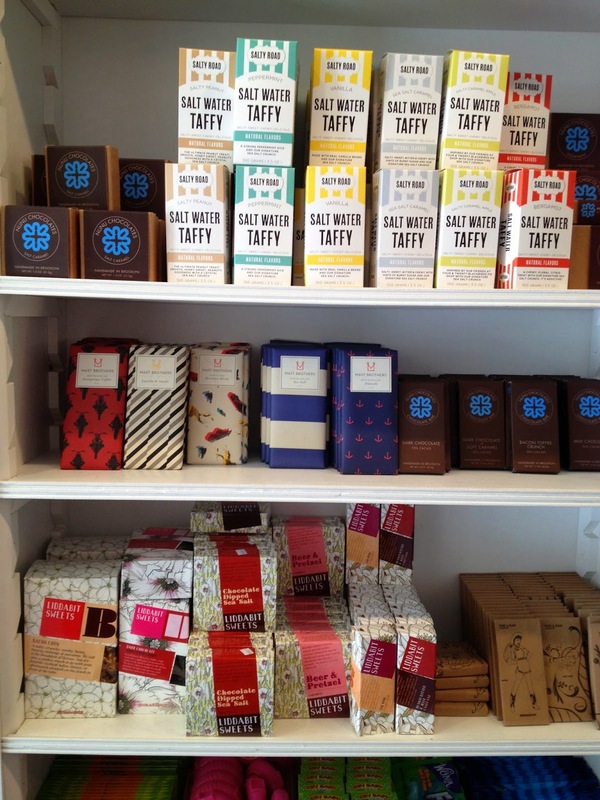 Jars full of classic candy share the shelves with Brooklyn staples like Mast Brothers and Liddabit Sweets. Regional candies like Abba-Zaba and Big Hunk are represented as are European and Japanese candies. 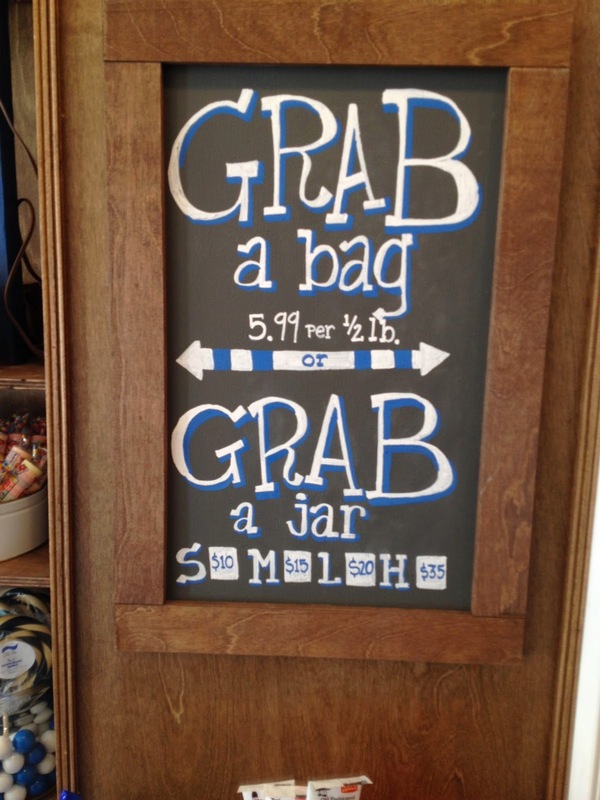 The candy is available individually and by the pound as well as by the Mason Jar (they did start in Williamsburg after all). In addition to candy, Handsome Dan's also prominently features SnoCones and Cotton Candy, which is spun to order right in the store. The small store and shelves are painted white so the brilliant colors of the candy and packaging stand out. The staff is friendly and welcoming to kids of all ages and yes, there is a Handsome Dan. This is a dangerous store, especially if your are hungry or have kids, or both. Don't say I didn't warn you. A mix of the high and low, literally. Nostalgic or hipster? Both? Certainly reusable. My kind of street sign. 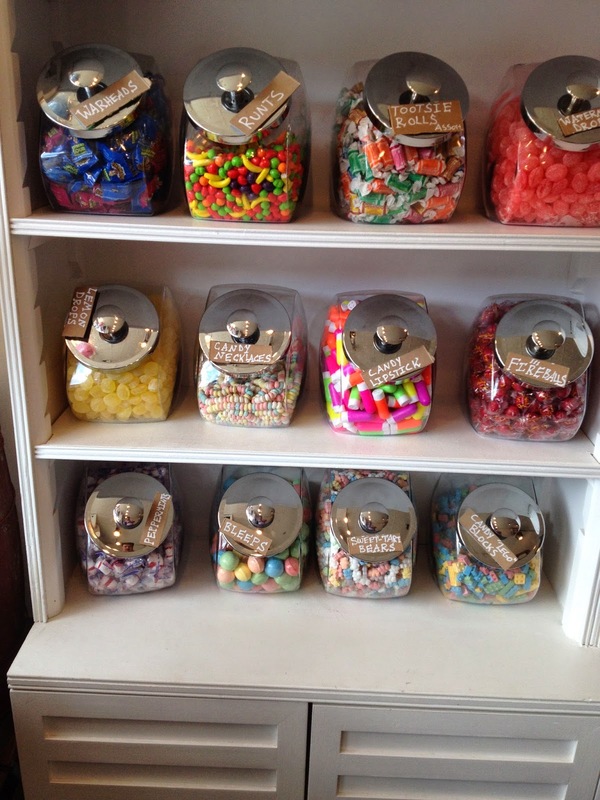 My children would go crazy seeing all these candies! Everybody has a sweet tooth, a little bit of candy won't hurt us right? It's good to see that the business has expanded and has used the best essay cover letter online for their article and stories. It's simply impossible to get out of this store without purchases, as there are lots of sweets around and wonderful aromas. You were right. This candy store is looking amazing. I want to visit it. And you can visit this page meanwhile. Be sure to do that! Candy is among one of my weakness and i can't pick any one when i see those colorful snacks in front of me.